A senior Democratic official has apologised for a donation to an anti-LGBT politician who once claimed accepting gay people would spread AIDS. Michael Blake, vice chairman of the Democratic National Committee, had come under scrutiny after a $1000 campaign donation to conservative New York State Senator Rubén Díaz Sr.
A militant opponent of LGBT rights, Díaz Sr. led multiple rallies against equal marriage in the city, despite his own granddaughter being a lesbian. Díaz Sr. was once forced to resign from a post after suggesting that the Gay Games sporting event would result in the spread of AIDS by encouraging homosexuality. He also filed legal action in a bid to block the Harvey Milk High School, which caters for ostracised LGBT youth, claiming that it discriminates against straight kids. 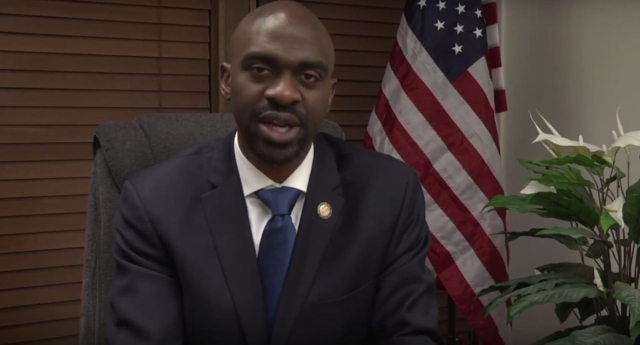 Michael Blake, who was endorsed by a string of LGBT rights groups during his DNC Vice Chair campaign, said he did not agree with the state senator’s record. In a statement, the Democratic official and New York Assemblyman explained that he would ask for his money back after initially making a $1000 contribution to Díaz’s election fund. He said: “Despite his work in our overlapping districts and continued effort of uniting communities of colour, Senator Ruben Díaz Sr. has made comments and taken stances against the LGBTQ community that I do not support. “My contribution to his campaign is in no way an endorsement of his views on the LGBTQ community and should not be viewed as such. I am sorry for any offence caused by the contribution. “It is my sincere hope that my record identifies me as an ally of the LGBTQ community; from my policy positions, public and private comments and selection for my staff members and advisors. He added: “I hear and respect the concerns that LGBTQ activists and allies have raised to to my campaign donation.